SAN FRANCISCO (March 7, 2019) – The Japanese Cultural and Community Center of Northern California (the Center) in Japantown will host a special California Washoku cuisine pop up meal by chefs David Yoshimura and Casey Kusaka of Oji Restaurant on Sunday, March 31, 2019 from 1:00 p.m. – 4:00 p.m. The pop up meal event by Oji is part of a series of pop up meals leading up to their official restaurant opening and features a tasting menu consisting of seven Washoku courses. Both Oji’s owners, Chef David Yoshimura and General Manager Casey Kusaka, bring to the table not only passion and talent, but the honed expertise and sensibilities that only hours in the kitchens of Michelin-rated restaurants can provide. David is originally from Houston, Texas, where he inherited his passion for food from his mother. Upon completing training at the Culinary Institute of America in New York City, David staged abroad at notable restaurants including Nihonryori Ryugin in Tokyo and Asador Etxebarri in Spain. After returning to New York City, he worked at wd~50 until the restaurant’s closure, then followed up by joining the team at Californios in San Francisco, helping them obtain their first Michelin star within six months. David is currently Chef de Cuisine at the now two Michelin star-rated Californios. While Oji Restaurant’s Washoku cuisine pays respects to David and Casey’s roots, their decision to collaborate with the Center in San Francisco Japantown to host their pop up demonstrates their commitment to support the local community and spaces dedicated to promoting the understanding and appreciation of Japanese and Japanese American culture. Since relocating to San Francisco, David and Casey have both also regularly volunteered their time at the Center through Kimochi Inc. senior service organization’s weekday meal program for seniors. Proceeds from ticket sales will be generously donated by Oji directly to the Center to support its ongoing programs and activities serving San Francisco’s Japantown community and beyond. Tickets for the seven-course California Washoku pop up meal are $65 for Center members and $80 for the general public, and can be purchased in person at the Center or online at: http://bit.ly/ojiwashokupopup. Seating is limited to the first 40 individuals. For more information on Oji, please visit: http://www.ojisf.com. Envisioned by the Japanese American community, the Center will be an everlasting foundation of our Japanese American ancestry, cultural heritage, histories and traditions. 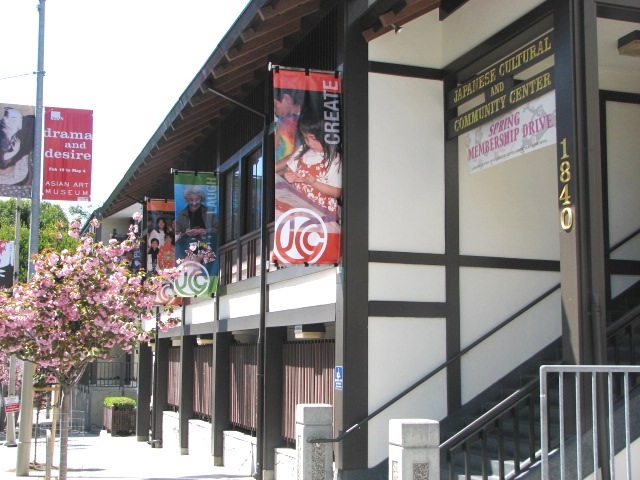 The Center strives to meet the evolving needs of the Japanese American community through programs, affordable services and facility usage. 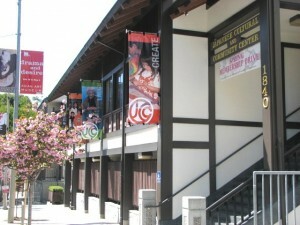 The Center is a non-profit community center based in San Francisco Japantown. 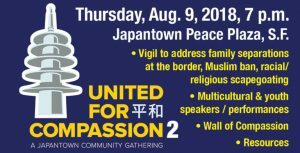 WHEN: Thursday, Aug. 9, 2018, 7 to 8:30 p.m.
“United For Compassion 2” is a Japantown community gathering to address family separations at the border and the Muslim ban, racial / religious scapegoating, among other issues. The United For Compassion Consortium and the San Francisco Japantown community stands in solidarity with those now being targeted nationwide by the rhetoric of hatred and racial and religious scapegoating. Since before the 2016 elections, there had been a rise in incidences of hate throughout the country, which appear to be emboldened by the misogynistic, xenophobic and racist rhetoric of the Trump campaign. By the time the Japantown community held the first United For Compassion vigil against post-election hate two weeks after the elections on Nov. 22, 2016, the Southern Poverty Law Center had documented more than 700 incidents since the elections alone, including physical assaults and racist vandalism. Since that time, an anti-Muslim travel ban has been upheld by the Supreme Court using the same flawed logic which legalized the incarceration of Japanese Americans in 1944. Our worst fears have also been realized with the recent Executive Order which authorized the indefinite imprisonment of migrant families in detention centers across the country. One site being considered as a potential detention facility for unaccompanied minors is adjacent to the former Rohwer concentration camp in southeast Arkansas, where the United States government incarcerated 8,000 Japanese Americans between 1942 and 1945. According to a CNN report, some 430 parents from separated families were likely deported without their kids. Once they are located, the logistics of coordinating reunions could take months. There are currently 711 immigrant children from separated families who remain in custody. As a community that knows all too well the effects of wartime hysteria, racial prejudice and the failure of political leadership, the Japanese American community responds, using our own experience as a stark reminder of the effects of the deprivation of civil liberties. Seventy-seven years ago the FBI began arresting our Buddhist priests, Japanese Language School teachers and community leaders. Within two months the U.S. government began the mass incarceration of all Japanese Americans from the West Coast. This human tragedy and violation of constitutional rights is not what a Trump advisor stated as a “precedent” for a present-day “Muslim registry.” It was a grave injustice and grave mistake, for which the nation apologized. As a community, Japanese Americans cannot be silent while groups are targeted and demonized in the same way that we once were. Now more than ever, our community must speak out for targeted communities. In a show of unity, the Japanese American and Japantown community is taking a clear and unequivocal stand against hate, while addressing the fear that has shrouded our communities. We stand in solidarity for equality, equity, and freedom. We stand for the human spirit. We stand here United for Compassion. The U.S.-Japan Council (USJC) and other U.S.-Japan related organizations offer heartfelt thoughts to all who are affected. Many in the U.S. have strong ties to the Ehime, Hiroshima and Okayama communities through people-to-people programs and exchanges. Many Japanese Americans also have family ties or personal connections to the region. 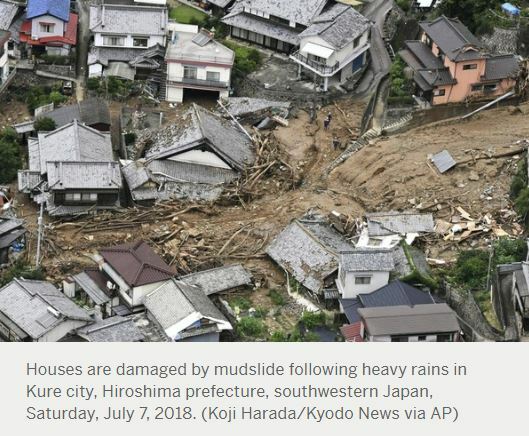 The USJC has established and is accepting donations for the Japan Flood Friendship Fund (JFFF) to aid those who are affected. 100% of the contributions will go to relief efforts through our network of nonprofit organizations that are working on the ground. Supporting organizations include: the Japanese American Citizens League, the Japanese Cultural and Community Center of Northern California (JCCCNC), the Japanese Cultural Center of Hawai‘i and the United States-Japan Foundation. The USJJC also welcome sorganizations that would be interested in partnering with them to support those in need. If you have any inquiries please write to JFFF@usjapancouncil.org or call 202-223-6840. 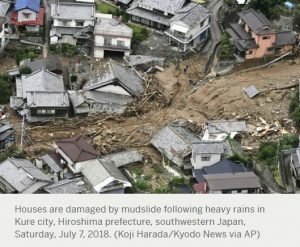 The USJC established and is accepting donation for the Japan Flood Friendship Fund (JFFF) to aid those who are affected. 100% of the contributions will go to relief efforts through our network of nonprofit organizations that are working on the ground. 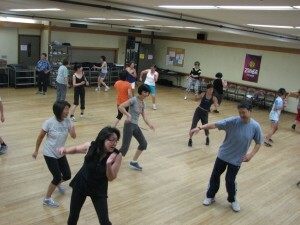 Supporting organzations include the Japanese American Citizens League, the Japanese Cultural and Community Center of Northern California (JCCCNC), the Japanese Cultural Center of Hawai‘i and the United States-Japan Foundation. 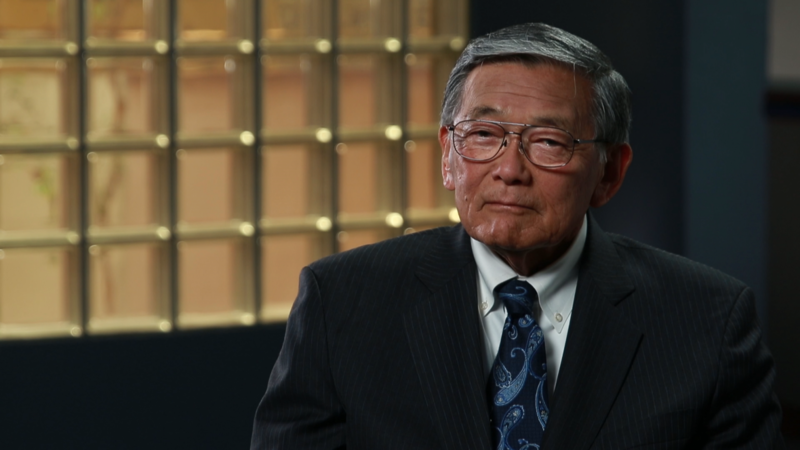 Join us for the World Premiere of Dianne Fukami’s newest documentary, which celebrates the rich life and career of Norman Y. Mineta, one of the most well-respected and influential Japanese American community leaders of our times. This powerful and inspirational portrait explores Mineta — from Japanese American incarceration as a child during World War II to being mayor of San Jose and serving as cabinet secretary under two presidents. For the Japanese Americans who served in World War II, public acknowledgment of the vital roles they played has been long delayed. 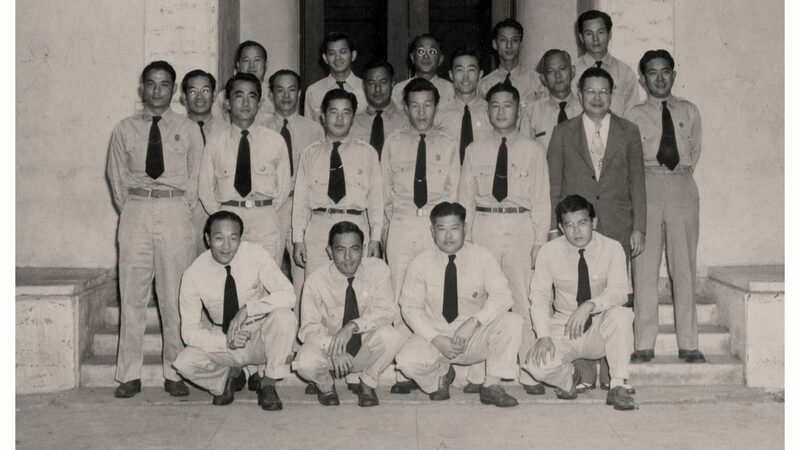 THE REGISTRY, a CAAM-funded film, chronicles the efforts of aging veterans to document the crucial work they performed as translators in the Pacific theater and the focal point that military service played in their identities. THE REGISTRY will be one of the last times that those who served in WWII will be able to connect with each other, as well as one of the last times we will directly hear the voices of those who served. Acclaimed storyteller and Bay Area activist Brenda Wong Aoki presents AUNT LILY’S FLOWER BOOK: ONE HUNDRED YEARS OF LEGALIZED RACISM. A live performance set to music by Emmy Award-winning composer Mark Izu and koto master Shoko Hikage, Wong Aoki embodies multiple characters to take the audience through a tale of family secrets and resilience from the perspective of Chinese Americans and Japanese Americans. Combining both sides of the Wong Aoki and Izu family histories — from a grandfather who built the railroad to a father who served in and survived the 442nd during World War II — AUNT LILY’S FLOWER BOOK highlights the impact of residual trauma and the role that the arts play in healing. 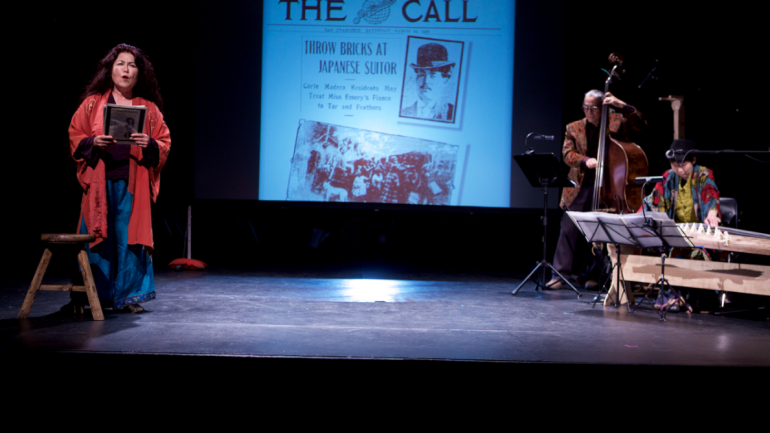 Since its inception, the JCCCNC has remained committed to the preservation and promotion of Japanese American cultural and historical heritage. The following page defines cultural heritage and describes its importance. Culture is a group’s values, traditions, art, etc. Heritage is a group’s history of their values, traditions, achievements, etc. Cultural heritage is both tangible and intangible. Tangible elements include: art, memorabilia and artifacts, clothing, food, physical spaces, products, agriculture, landscapes, buildings, and photographs. Intangible elements of cultural heritage include: customs and traditions, values and beliefs, language, achievements, history, religion, activities, and skills. Cultural heritage can only be successfully preserved if individuals value and subsequently transmit culture to the next generation. Cultural heritage is important because it is a core element of an individual’s identity. Additionally, it increases feelings of belonging and access to groups or communities; it preserves history and culture; and it is a direct connection to the past and an individual’s ancestors. When individuals enjoy, understand, value, and care about their cultural heritage, it can be passed on to other generations, allowing for its future observance and practice. The Nikkei Photo Contest was born from the idea that cultural heritage requires sharing. Through the contest, the JCCCNC hopes to further its mission of preserving and promoting Japanese American cultural heritage. 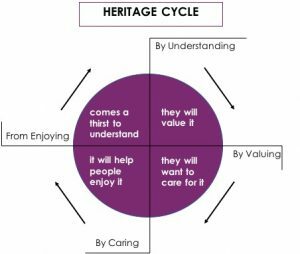 The “Heritage Cycle,” originally created by Simon Thurley and developed by cultureindevelopment.nl, represents the cycle of cultural heritage. The ”Heritage Cycle” outlines an integral piece of cultural heritage. It drives the point that heritage must be understood, valued, cared for, and enjoyed in order to be shared. The JCCCNC hopes to encourage individuals to explore their cultural heritage so that they may better understand, value, care, and enjoy it. 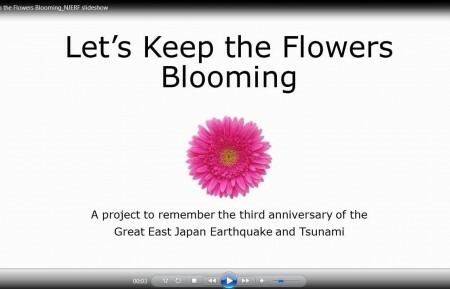 On March 11, 2014, we gathered to the remember the third anniversary of the Great East Japan Earthquake and Tsunami and shared this video. Guest were asked to write a note of hope and friendship to the thousands in Northern Japan who are still working to rebuild their lives and communities. Click on the image to see the video that was shared at the event. 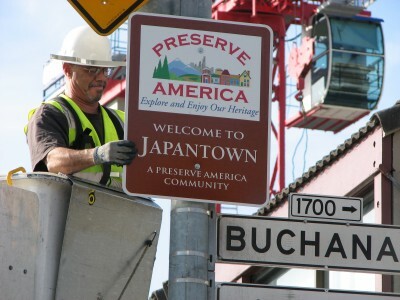 San Francisco’s Japantown was honored in March 2008, when First Lady Laura Bush, Honorary Chair of the Preserve America initiative, designated it as one of the nation’s newest Preserve America Communities.